Thousands of New Zealand’s took up the challenge this Conservation Week and got involved in protecting our native flora, fauna, marine and freshwater spaces! From tree plantings to beach cleanups here is a small snapshot of what went on around the country last week. The Green Ribbon Awards recognise outstanding contributions to protect and manage New Zealand’s environment. Entries for this year’s awards are now open. Don Herron shares the story of a community-run initiative in Plimmerton which has been working to make their suburb pest free. Come behind the scenes and into the jobs and personalities of the people who work at DOC. Today we profile Rebecca Rush, Community Ranger in Tāmaki Makaurau/Auckland. Earlier this month DOC and Fonterra held a community open day to celebrate the Living Water partnership in Hikurangi, Northland. Sandy and Robin Toy work with Friends of Flora in Kahurangi National Park. Their job is to manage the programme to re-establish a sustainable population of great spotted kiwi/roroa into the Flora Stream catchment area. 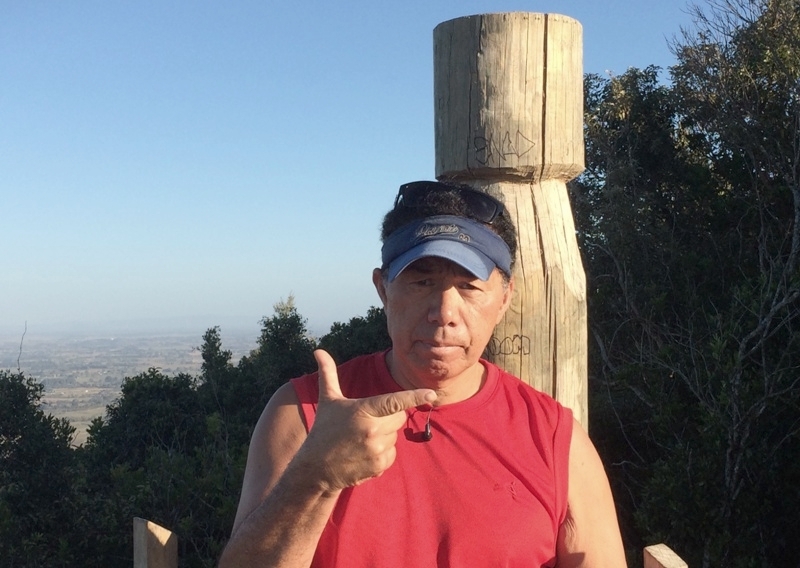 We know it as the Hakarimata Summit Track, but fitness nuts in the region call it The Huks! 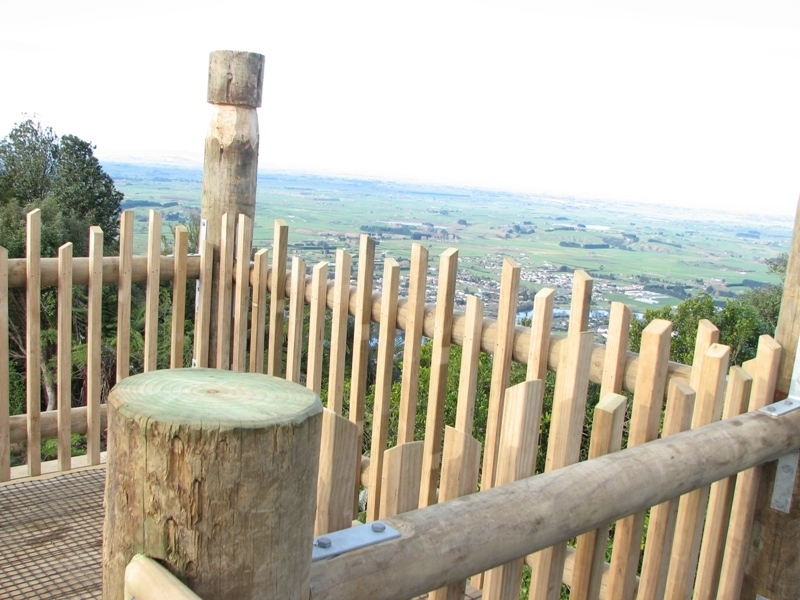 It’s one of the Waikato’s best outdoor gyms and much-loved by the local community. From Brownlee Avenue, in Ngaruawahia, it’s 335 metre climb to the summit of the Hakarimata Range—with 1,349 steps in between. The summit view tower, at 374 metres above sea level, has amazing views of the Waikato Basin and down to Ruapehu on a clear day. The track meets the Hakarimata Walkway and is also part of the Te Araroa Trail. 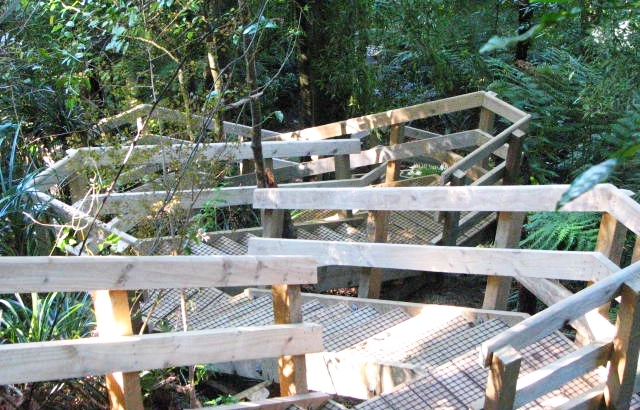 Upgraded in 2012, from a slippery die-hard trampers track to a walking track, the Hakarimata Summit Track now attracts over 50,000 people a year (and growing). It sounds fantastic, and it is, but with all those walkers, the wear and tear of the steps and track sets in. So, how do you maintain and carry gravel up 1,349 steps? In steps Reg Hohaia, a local who started a fitness campaign after undergoing a hip replacement, walking the track every day—sometimes two or three times a day. Reggie inspired others; he encouraged and pushed them to try the track. First by going quarter of the way up, then half the way up and, finally, with a big high five, laughter and cheer, they are standing on the summit of the Hakarimata Range. Reggie started doing a few jobs on the track: cleaning off graffiti, clearing a bit of vegetation, that sort of thing. Then he asked for a pile of track gravel to be left at the entrance!